Love Letter from London: French Spy? Or Doctor Who's Companion? French Spy? Or Doctor Who's Companion? ... or Doctor Who's companion about to embark on another adventure in the TARDIS? Fun times in Glasgow, either way. Haha, I did the same thing when I was in Glasgow! MME - Isn't it great? 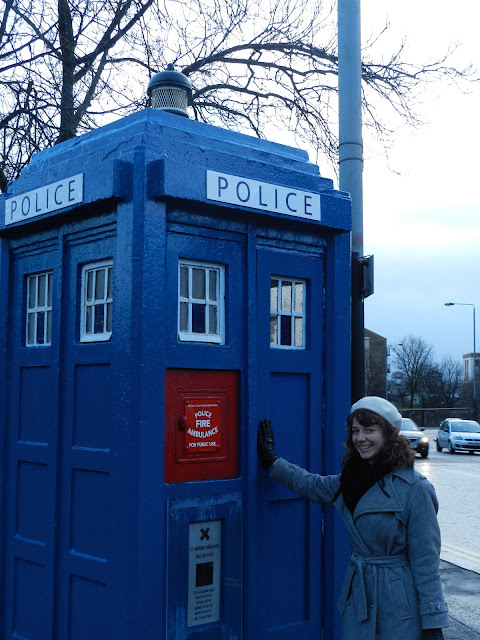 I couldn't believe they had police call boxes just all about the place. Kimberly and Rosette - Thanks for your votes. I think I'm definitely going with French spy then. Much more exotic! Well, I guess beret does point to the French more than science fiction so ... Fun Dr Who connection for sure. Perhaps I could be a French companion to the Doctor...? 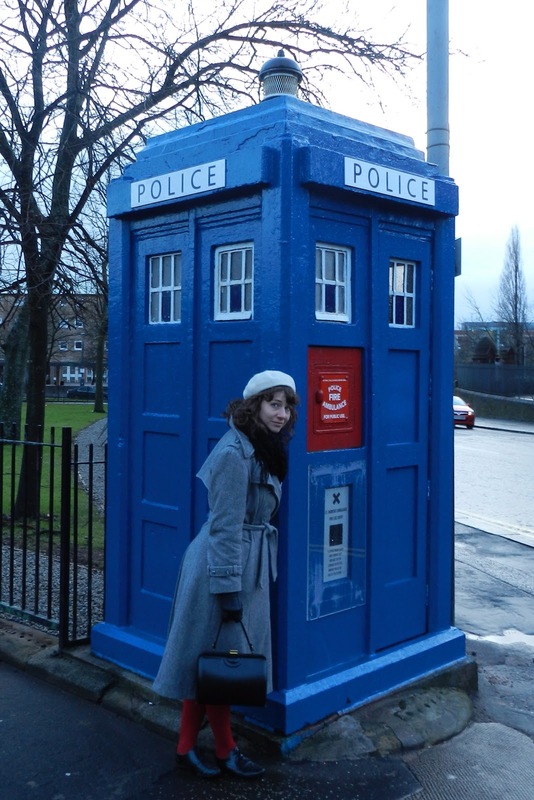 Then both the beret and TARDIS would be appropriate! I so badly want to go to London and your pictures just inspired me even more so. Thank you for sharing them with the world. Glad to have inspired you further towards visiting my wonderful city. Though I have to confess to having deceived you as these pictures are actually from Glasgow... But that's just another amazing city that I would highly recommend!